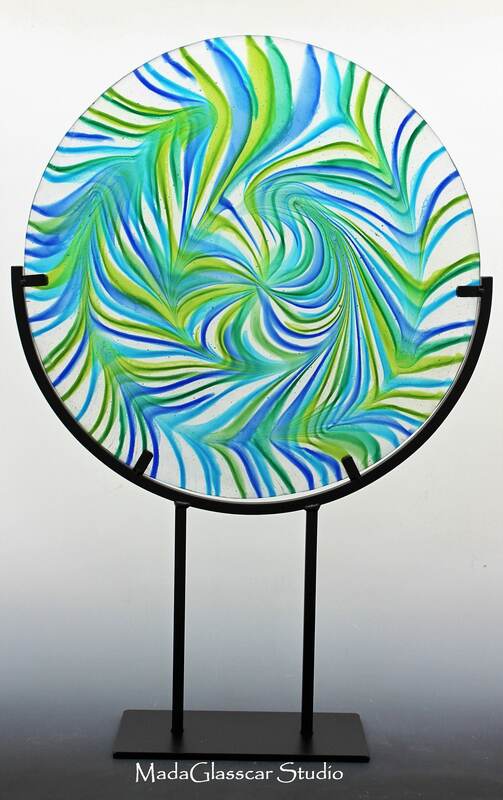 This fused glass disk is swirled (combed) using very high heat in a kiln. 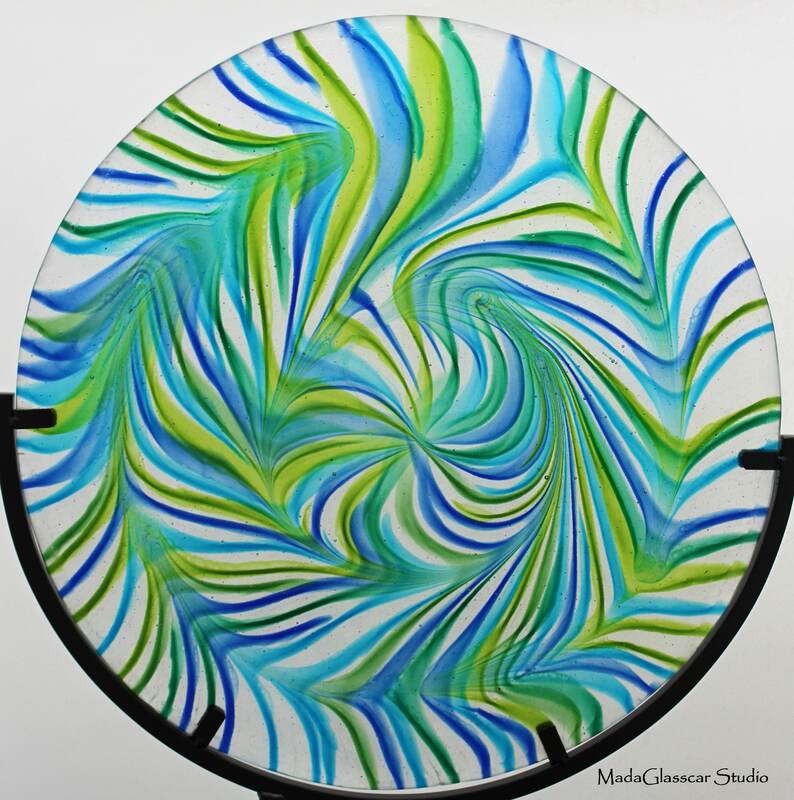 It's then sandblasted on the back side to enhance the colors on the front. Wrought iron stand is included.